There is a large removable leaf at each end of the table. I cut these apart using a Festool TS55, but since that time the wood has moved some and I need to re-do the joint to get it as tight as possible. There are also some saw marks left behind that I’d like to clean up. 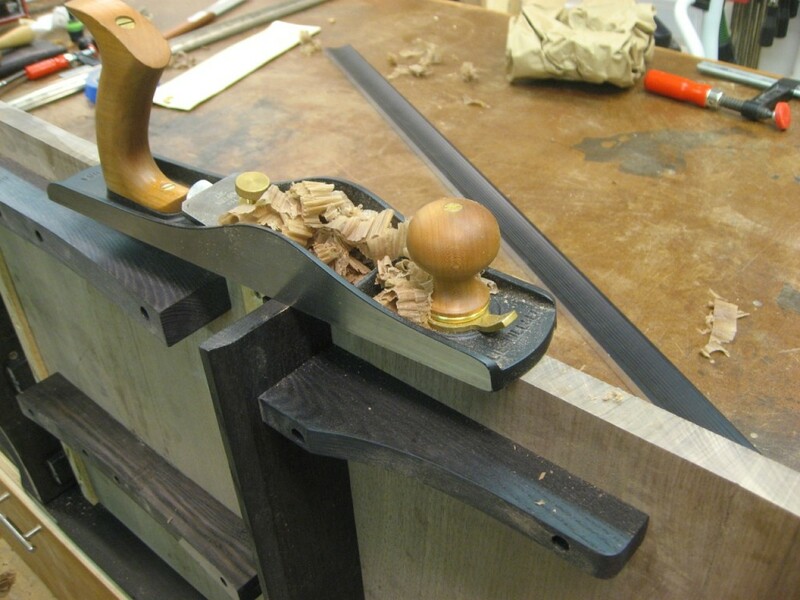 I grab the tools to use: A good straightedge to check my progress, the Lie-Nielsen #62 to work the end grain straight and true and a Lie-Nielsen #102 for tight-area cleanup. The Lie-Nielsen #62 is just awesome at working end grain. Make sure to really sharpen that blade first. 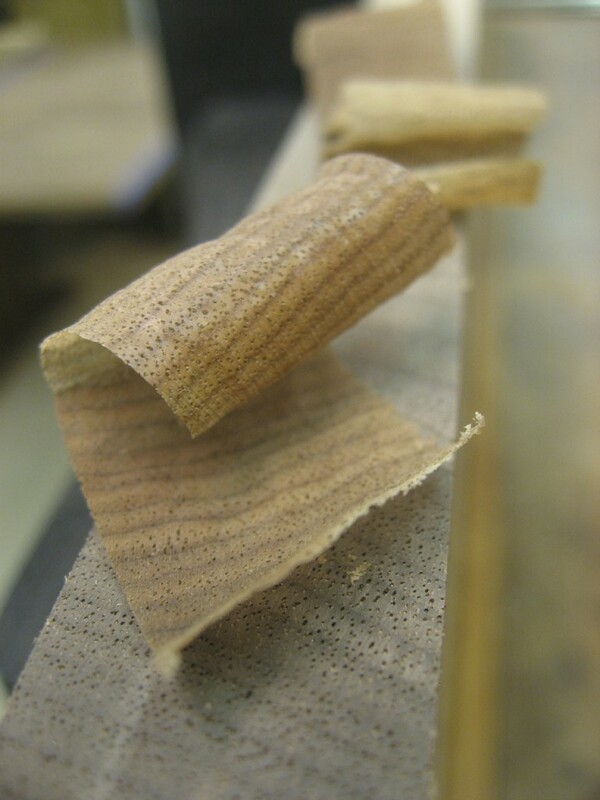 The low angle pulls off end grain shavings! 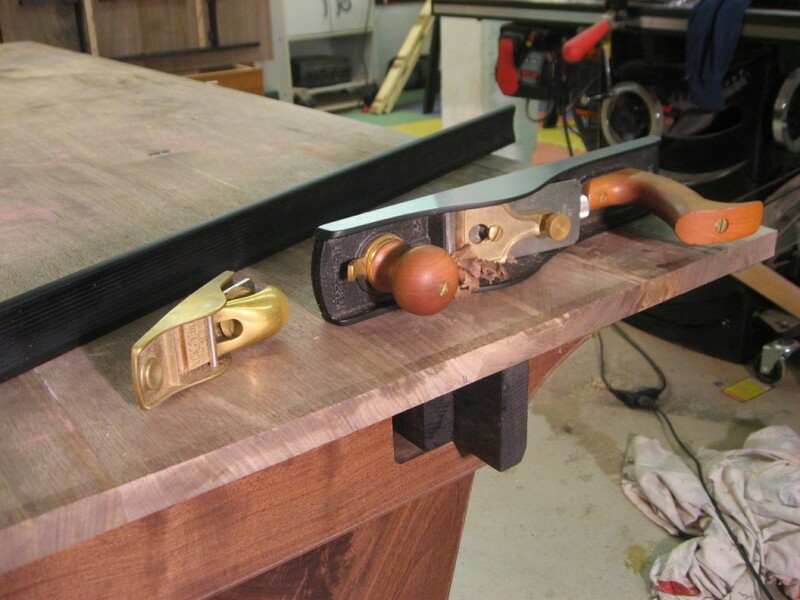 The whole leaf is clamped securely to my workbench as I work the end. The Lie-Nielsen #62 excels at end-grain work. Love the shavings! 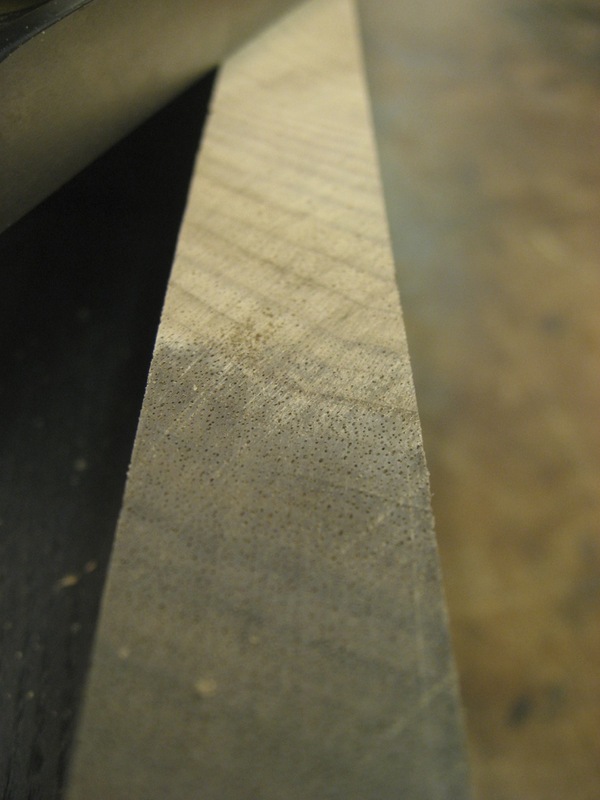 Here’s a closeup of saw marks being removed using a hand plane. I can’t get enough of end grain shavings. Love ’em. I just love end grain shavings! Morton is out of range of a computer this week, but he let me know that the whole table is walnut with cherry inlay. The Science of Trees: An Amazing Video Woodworking Magazine Articles: The Same Story All Over Again?